The City of League City awarded Jack Compton the 2015 Arthur Hewitt Volunteer Spirit Award during the Aug. 25 City Council meeting. Compton, president of the League City Citizens’ Police Academy Alumni Association, was honored for his volunteer work with the police department. He has volunteered more than 1,000 hours per year in an effort to bridge the communication divide between the law enforcement community and League City residents. 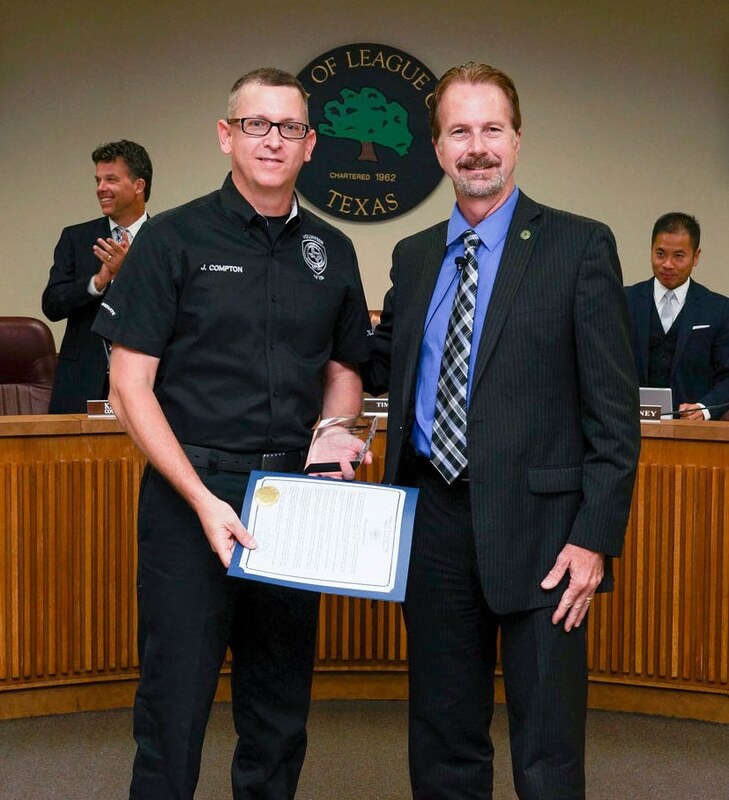 Compton also helped organize the city’s Salute to Military Heroes week, morale events for League City first responders, and is an active volunteer who serves as a field trainer for the Volunteers in Policing program. 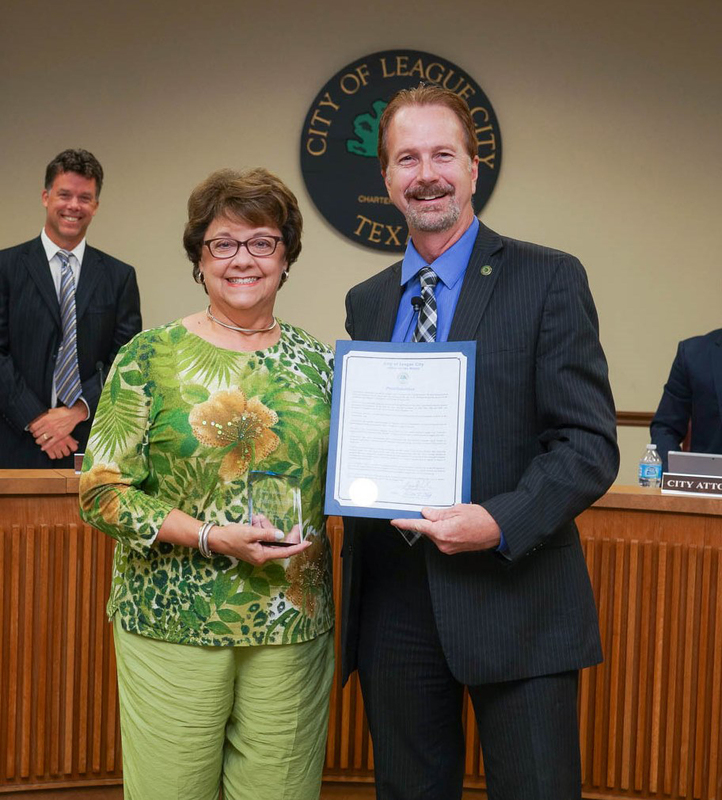 Cheryl Scott is presented the Above and Beyond Award by League City Mayor Tim Paulissen during the Aug. 25 City Council meeting for her volunteerism efforts with the League City Animal Shelter. Cheryl Scott was also honored with the Above and Beyond Award for her volunteerism efforts with the League City Animal Shelter. Scott has devoted more than 454 hours in the past year to volunteering with the Animal Shelter to promote the many animals in need of a home. She has spent hours hwoing off the shelter in hopes of bettering the League City community. Arthur Hewitt, who passed away in 2012, dedicated 61 years of his life to the League City community by serving as a League City volunteer firefighter and inspiring countless others to make a commitment to service in League City. 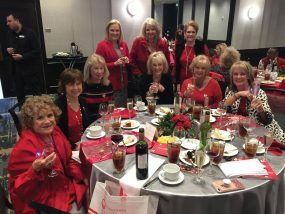 League City honors Hewitt’s memory and keeps his passion for volunteerism alive through the Arthur Hewitt Volunteer Spirit Award and by declaring Aug. 30 of every year as League City Volunteer Appreciation Day. The nomination period for the 2015 Arthur Hewitt Volunteer Spirit Award was July 1, 2014 through June 30, 2015. All nominations received by the nomination deadline were reviewed by a committee that included members of City Staff. The committee also chose to recognize a long-standing volunteer with the Above and Beyond Award.